BOSSIER CITY, La. October 17, 2016 – It’s a rare occasion when the roofing installer knows and understands everything about what the customer wants. The best chance of that happening is when the installer and the customer are the same person. Empire Roofing is one of the most well-known and respected roofing companies in the county. 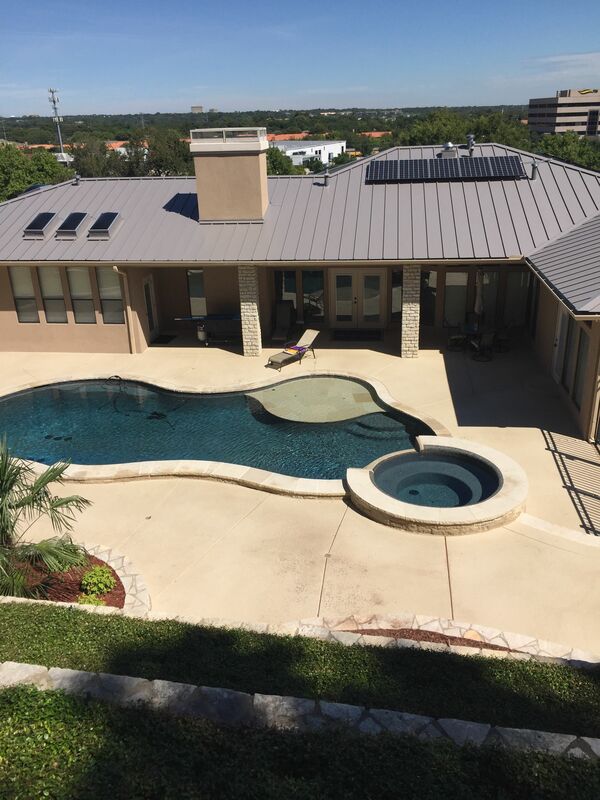 The company installs mostly commercial and industrial roofing – residential projects are rare and only for the loyal customer who understands the benefits and value of a standing seam metal roof. Empire had successfully installed McElroy Metal’s 2-3/8-inch 238T symmetrical standing seam panel on several commercial and industrial projects. 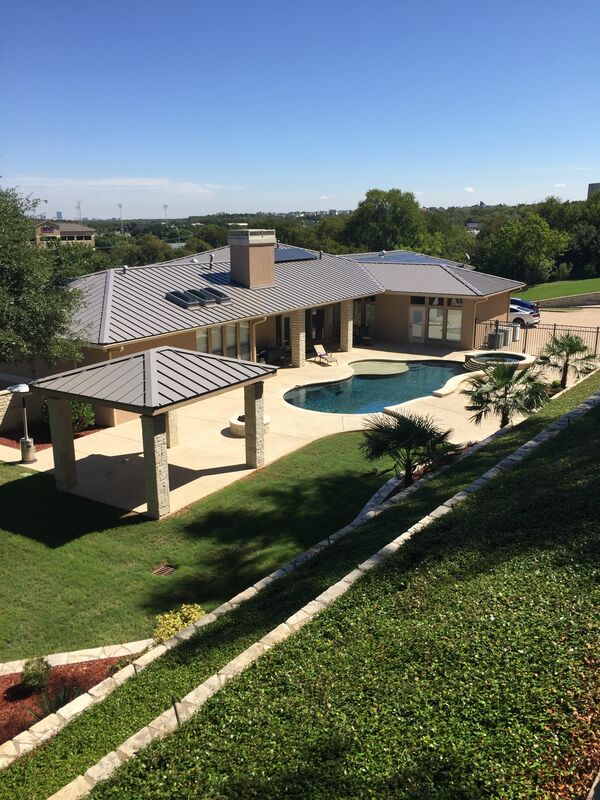 That led McGlothlin to choose symmetrical standing seam panels for his home – the 138T system, a 1-3/8-inch high seam recommended for steeper slope, solid deck applications like residential projects. The Empire Roofing crew had to deal with two challenges on the McGlothlin home. The first was the many cuts and valleys in the roof, which the experienced installers handled easily. Scrap is greatly reduced on these types of jobs with a symmetrical panel because panel ends cut at an angle for a hip or valley condition can be flipped around and used on the same roof plane. Another challenge on the job was access … the eaves on the front of the house are 30 feet in the air, it was safer and easier to work from the back, carrying panels over the ridge to the front of the house. 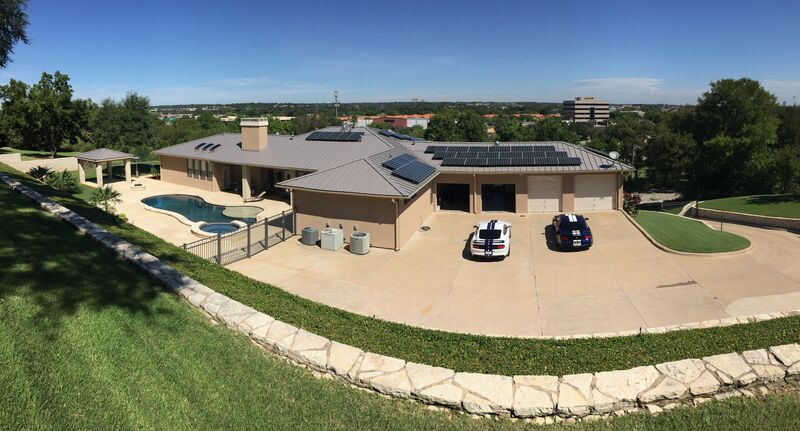 He also added crystalline solar panels to the symmetrical standing seam roofing, attached with clips from S-5!. McElroy Metal is an S-5! distributor. 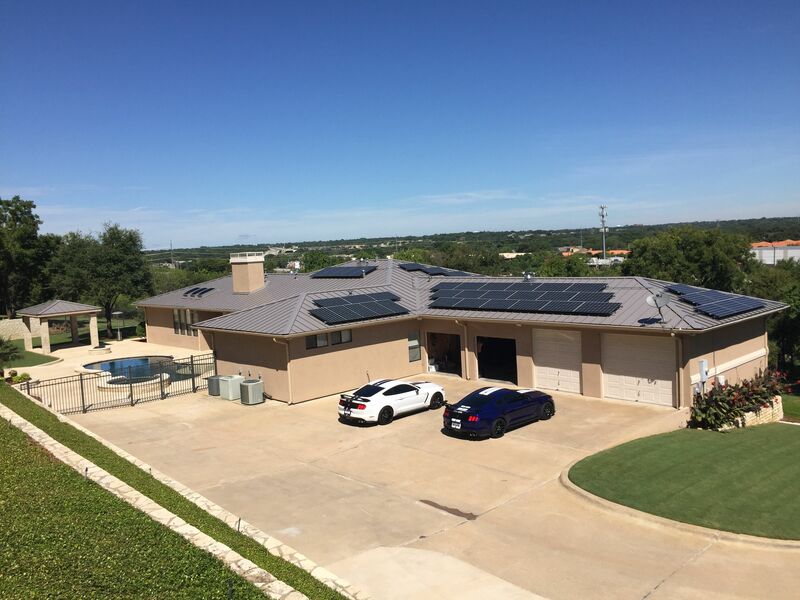 The 14Kw system, installed by Alba Energy of Austin, Texas, is garnering almost enough electricity to cover all the home uses. McGlothlin expects a return on his solar investment in 6-8 years, depending on how much sunshine and rain central Texas gets during that time. The solar system is expected to last at least 20 years.